RYANAIR HAS DESCRIBED circumstances which caused a flight to be delayed by 50 hours over the weekend as “entirely beyond our control”. The delay came to attention on social media after a number of tweets from Corinne Redfern, the features and entertainment editor with Look Magazine. In them she gave an account of a series of delays, difficulties obtaining food vouchers and a reluctance by the airline to provide accommodation for passengers. Redfern had been due to fly from Lanzarote to London Stansted on Friday afternoon. Weather conditions caused delays to flights around the Canary Island on Friday and Saturday and affected three routes – one to Birmingham, one to the East Midlands and one to London Stansted. The delayed flight to Stansted landed at around 15.00pm yesterday afternoon. Affected customers were provided with meal vouchers and hotel accommodation, and were sent regular updates by email and SMS text. Weather improvements allowed normal flight operations to resume on Sunday when these flights operated. Ryanair sincerely apologised to all customers affected by these weather delays, which were entirely beyond our control. 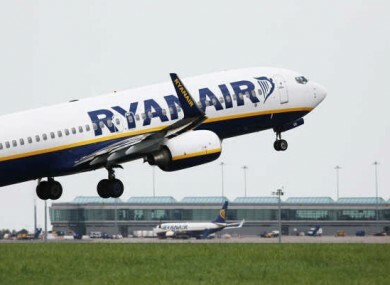 Email “Flight delay of 50 hours 'beyond the control' of Ryanair ”. Feedback on “Flight delay of 50 hours 'beyond the control' of Ryanair ”.